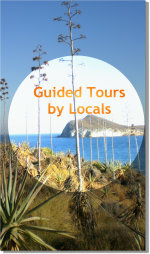 This is a list of holiday villas in Cabo de Gata Natural Park, which I have handpicked. All nestle in a beautiful volcano desert landscape, surrounded by pitas and prickly pear cactus. A truly wonderful unspoiled corner with sparkling beaches and secluded coves. I hope you find your perfect villa and enjoy a dream holiday. - Happy Browsing! Just two kilometres from the unspoiled beaches of Agua-Amarga and close to the charming fishing village. A former goldmining village with history, nestled in an ancient volcano valley and near one of the best beaches of the area: The Playazo beach! Located at the edge of the village of Rodalquilar. Surrounded by a beautiful garden patio. 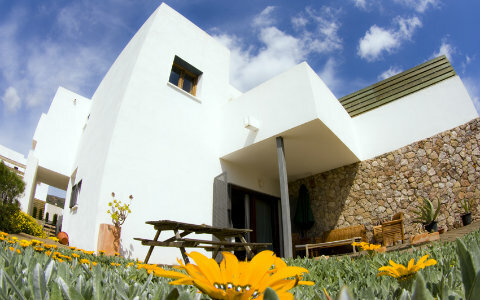 No pool required here, since it is within easy reach to the best beaches of Cabo de Gata.